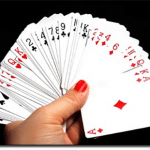 What Are the Easiest Casino Games to Learn? When you’re a beginner, looking to play complex casino games with complicated rules can dampen the fun or be a little intimidating. In general, card games have less to do with pure luck and require knowledge and a certain skill level to win and many aren’t welcoming to complete newcomers. 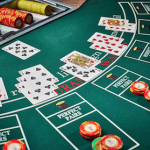 If you’re new to online casinos and you’re looking for some fun real money titles without having to be bogged down with the hassle of learning difficult games, these are the best casino games to try out. They’re easy for beginners to get the hang of – you’ll be rolling in winnings before you know it. Note: This page is intended for our international readers only. Online gambling is illegal in Australia as of September 2017 following the introduction of the Interactive Gambling Amendment Bill 2016, so for Aussie readers the content on this page is informational in nature only. Online housie is one of the easiest games for beginners because it doesn’t require too much strategy. There’s an equal chance any one of the numbers on a bingo board may be picked. Generally when playing bingo in a Web-based casino you will purchase tickets (the cost of these tickets will vary) and sit and watch once the game has begun, hoping your numbers will be drawn. Studio 1 Bingo on G’Day Casino is a fun game for rookies that took very little effort on our behalf, having bought ten tickets at a cost of $0.10 and waiting a couple of minutes for the next round to start. It’s easy to understand how the game of housie works, but it was great learning about the process of the game in a calm and quiet environment. It allowed me to easily follow what was going on without the chaos of live play that could distract me from understanding the game. Playing online video slots is great for someone new to the gambling world. Aside from the amount you choose to bet, there’s very little for you to do. It’s as easy as hitting the spin button and watching the reels go round. Most slot games even have the option of autoplaying for a selected number of rounds, meaning it’ll continue to spin and accumulate your winnings. Essentially, skill is negligible because none is needed. Each online pokie will have special combinations that will help you unlock freebies such as extra spins or games, or will unlock bonus rounds you can play. If you’re playing a particular real money slot and having trouble understanding how to play, you can usually locate more detailed rules within the in-game interface. For example, pokies on G’Day Casino with redirect to a new window with game rules if you select the question mark symbol in the bottom left-hand corner. Playing pokies on the Net may be slightly harder than playing them at a brick-and-mortar casino, but this is only because digital slots are generally more interactive and require a little more input from you. However the extra challenge of virtual slots adds another dimension to the game and is arguably more fun. At real gambling establishments approaching a bustling roulette table can be intimidating – especially if you’re not entirely sure of what you’re doing. That’s why it’s a great idea to start practising your roulette strategies online, or even playing on the Web to match your own beginner’s pace. The basics of roulette are very easy. Players place chips on numbers on the table, and the dealer will spin the ball – if the ball lands on your number, you’re a winner. The game is easy-to-understand and flexible, and allows you to play more conservatively or the choice of betting big to win big. For instance, if you place your chips on red any red number drawn will earn you winnings. However you’ll win more if you choose an individual number and that number is drawn, because it’s less likely to happen. Roulette is a great casino game for beginners because the rules are simple and in roulette you can experiment with gambling strategies and see which betting style you prefer. If you’re intimidated by more experienced gamblers then have a go at playing a few spins of roulette on a Web casino, without other punters distracting you from your own play. These aforementioned casino games are some of the simplest to learn, and any beginner will be able to get the hang of them quickly without too much confusion. However, if any game ever appears too challenging, virtual gambling establishments are great places to get into the groove of a game. They offer you a safe and relaxed environment to learn, bet and play at your own pace. Once you’ve got a handle on these easy casino games you’ll be able to tackle the more complex games casinos have on offer before you know it.